Customized keynotes, opening/closing sessions, breakouts and workshops! Ben’s presentations are educational and entertaining. His audiences enjoy him because they laugh and learn practical tips they can apply immediately, rather than theoretical models they soon forget. 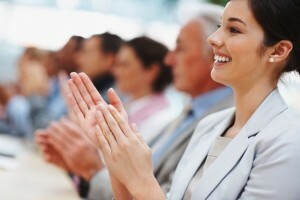 As a meeting planner, you will look “good” and can be confident that your speaker selection is a hit with your audience. For one fee, Ben will do a keynote presentation and one or more break-out sessions on the same day of your program. If you are planning a conference or convention, you can use him all day and pay only one travel and accommodation expense instead of having to hire two or three speakers. Fee range $4500–$6500. Contact us with details of your next meeting or to ask any questions.